Dawn's Crafting: Love Is In The Air! # 177- "Love Is In The Air"
I made two cards because I was having so much fun! This is another of my faves! however, I decided to use both anyway! a touch of white using a Sakura Glaze pen. The base of this card is 6"x6" red cs. I've used up a lot of stash items on this one! I added a mat of white paper & the DP which came from a gift wrapping kit I got in IKEA. I've had it in my stash for a while but haven't used much of it. & the red dotted ribbon is from my stash too! The image is matted on to red CS & popped up on some foam tape. For this card, I raided my scraps! The lace is a scrap & the butterfly has been kicking about for ages. I added a few tiny flat backed pearls & some dotty ribbon. I also added a heart button which was threaded with twine! Finally, here we are with both cards together! I very much appreciate you taking time out of your day to stop by! Don't forget to leave a comment & I'll try to pop over to visit you too! both casrds are lovely ready for valentines day! Dawn beautiful image and cards. Thanks for entering our challenge at Scrap it with a Song. Two gorgeous cards Dawn, such a lovely image - I especially like the polka dot background. What an amazing card!! Thank you for joining us at SIWAS. Both cards are just brilliant! I especially love the polkadots! 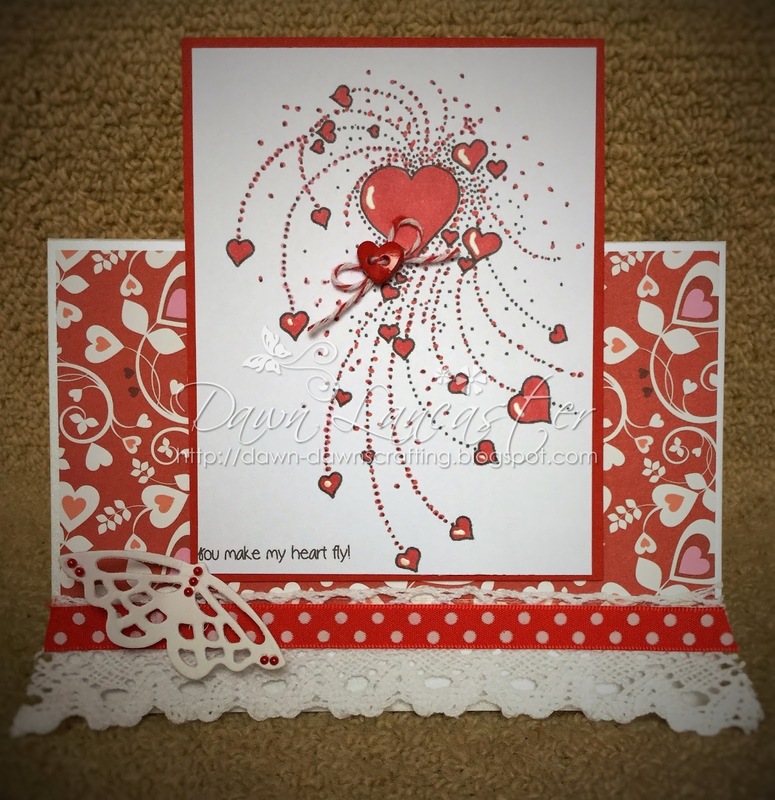 Two gorgeous cards, the digi image, papers and embellishments used. Thank you for joining us at Cute as a Button challenge. Good luck and we hope to se you again! Thanks for joining our monthly challenge here at Scribbles Design challenge. Hope you will join us next time DT Crafting Vicky. Oh my goodness these cards are gorgeous. I just love that image--so cool. Your layouts are really nice as well. 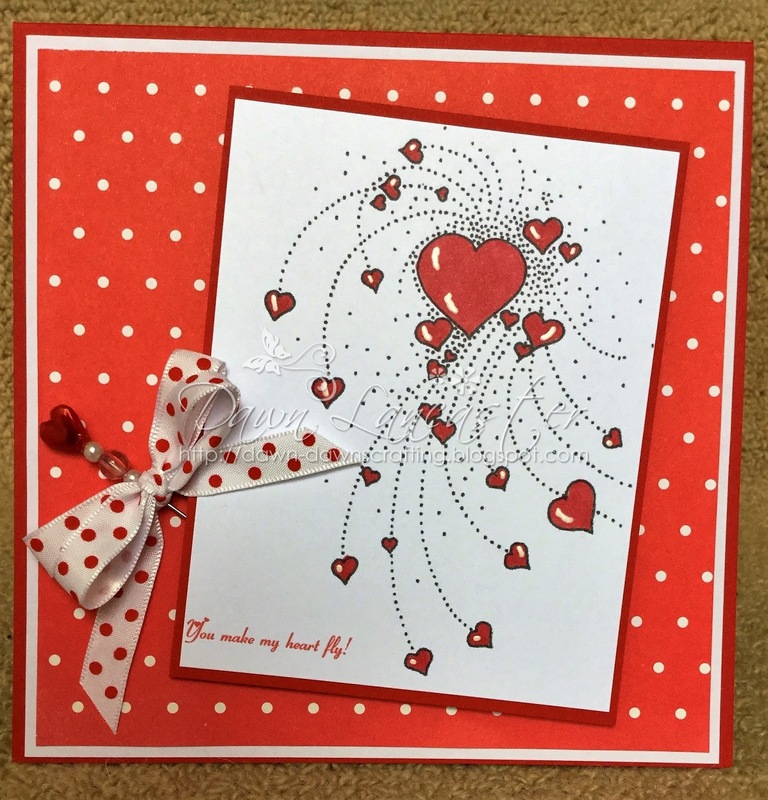 Thanks so much for entering your card into our recent challenge over at the Scribbles Designs Challenge Blog. Good luck in the draw. I'd like to ask you if you'd be interested in being a Guest with Scribbles Designs but can't find an email address to contact you. Could you please send me an email so we can discuss? (don't forget to remove the 'at' and 'dot' and put in the correct symbols).